World-Class Accommodation At The Royal Sibaya Hotel. 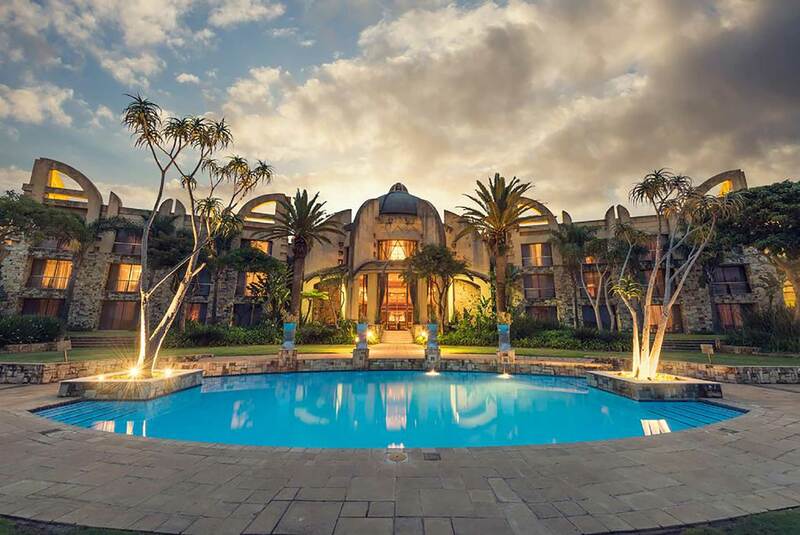 Escape to the rolling green hills of the North Coast and indulge in world-class accommodation at one of the finest five-star hotels near Durban. The Royal Sibaya Hotel has integrated the natural beauty of the surroundings into its design, taking architectural and interior cues from the legends of Zululand. From richly-woven textiles to local stories captured in sculptured bronze, every detail at this unique Umhlanga hotel speaks to luxury. Whether you’re in town for business or pleasure, we invite you to experience a regal retreat at the Royal Sibaya Hotel.